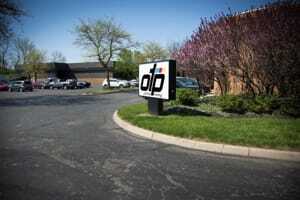 We are one of the largest family owned printing companies in the Midwest servicing clients throughout North America. Need Digital Printing Services? Call Us! To Print Brochures, Banners, or Posters, Offset Commercial Printing, Books, Print and Send Direct Mail, The MOST Advanced DIGITAL Printing in Columbus -- Large or Small - We Do It All! Are you looking for a reliable printing service? If so, then look no further than The Old Trail Printing Company. We are one of the largest family-owned, printers in the Midwest, and provide superior printing services for brochures, banners, posters, and so much more. We are a trusted name when it comes to digital printing, and have gained a huge clientele since 1928. Customer satisfaction is our top priority! We don't just get the job done, but deliver high-quality work that has always exceeded our customer's expectations. Our company has been awarded numerous print excellence awards from the Printing Industries of Ohio / Northern Kentucky since 2010. We offer prompt services and discounts on large print quantities and direct mail pieces. Old Trail offers a wide range of capabilities, all designed to help you meet your marketing needs. Let's Get Started Today! (614) 362-9040. Discounts on Large Print Quantities & Direct Mail. Call Now! Copyright © 2018 oldtrailprintcompanyoh.com All rights reserved.